Paul Stamets will demonstrate the power of mushrooms to transform our world, and perhaps other planets. Quyen Nguyen will bedazzle surgery, making peripheral nerves glow. We'll be catching up with folks such as Alexander Tsiaras - who has revolutionized the consumption of health information with his website TheVisualMD.com, which converts actual medical images into animations of the human body at work - and Dr. Charles Limb, who explores what happens in the brain when people improvise music. Renowned architect Michael Graves will share his vision of the hospital of the future, and Eythor Bender will demonstrate his exoskeletons, wearable robots that enhance strength and mobility and have helped some paralysis patients to walk. And it's not all about the formal presentations; a lot of the magic of TEDMED happens during the social breaks and dinners, when people with divergent passions meet and find the shared values that lead to powerful collaboration. Dr. Deepak Chopra met Alzheimer's researcher Rudolph Tanzi at last year's TEDMED, and now they're writing a book together about spirituality, consciousness and well-being. 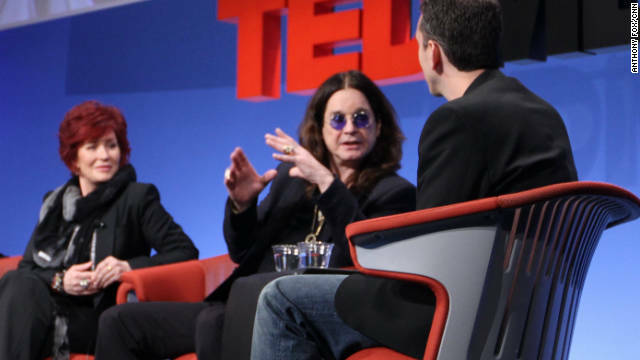 The idea for sequencing Ozzy Osbourne's genome came about at TEDMED 2009, and results were discussed last year. Creativity takes center stage when Sekou Andrews and Steve Connell present thought-provoking spoken-word poetry, and singer-songwriters Jill Sobule and Loudon Wainwright III are listed among this year's participants. CNN.com will also be catching up with Andrew Dawson, whose medium for expression is his hands. TEDMED was established by Marc Hodosh, who will be hosting the conference, and Saul Wurman, who created and chaired the groundbreaking TED conferences from 1984 to 2002. Jay Walker, founder of Priceline.com and owner of the Walker Library of the History of Human Imagination, is the current chairman. Follow @cnnhealth on Twitter for updates and check back here on The Chart. « Previous entryIs it OK to take antidepressants while breast-feeding? Funny - I don't see this as genius as much as celebrity....and the distinction is important. Celebrity captures the attention that we should afford to true genius....but we can't help ourselves. Lindsay Lohan will always grab more eyeballs than a dozen Nobel laureates...any the icons we choose dictate our culture and chart our future.